The anti-gun media has decided that it is more important to push their agenda than to tell the truth. [The graph is a little difficult to understand so here is a bit of help. 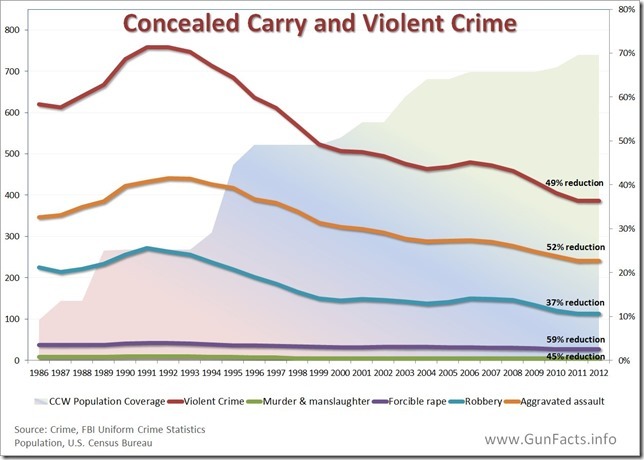 The shaded background colors are the CCW population coverage (units are on the right side of the graph), the maroon line with the 49% reduction label is the Violent Crime rate (presumably in per 100K people) with the units on the left side of the graph. 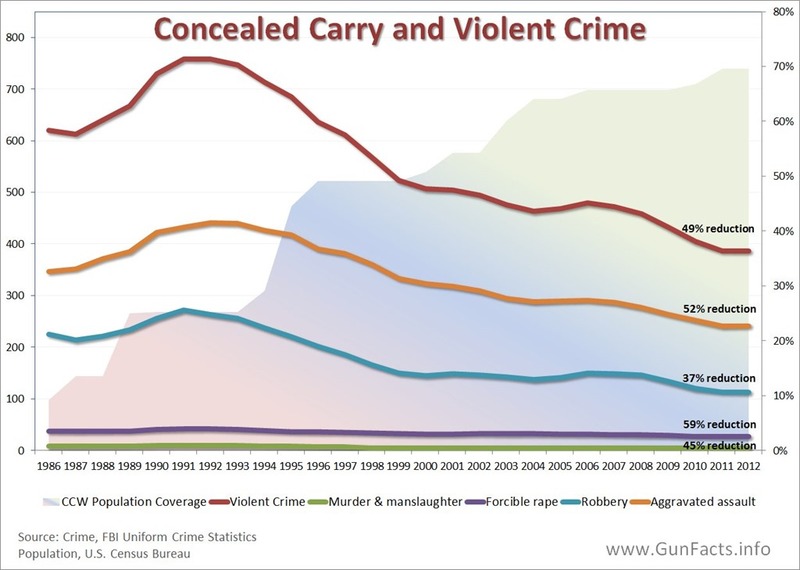 The other crime types follow in a similar format. See The Gulag Archipelago for the common interests of the totalitarian state and the criminal class.